Managed Binary Options Accounts, Should You Get It Or Not? 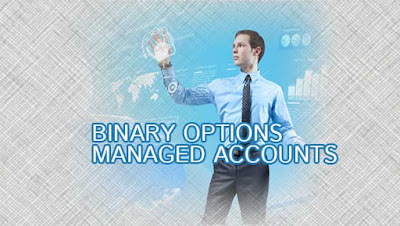 Do I need managed binary options account? That is the question every trader asks when they are starting to explore the world of binary options. To make sure you will not make any mistakes, let’s find out the risks and benefits of using an account manager. Many people think that hiring an account manager to handle your money and trading activity is a very risky activity. This is because when you use managed account, you are basically transferring the control of your asset to someone else. If you are lucky and you encounter an excellent trader as your account manager, it will not be an issue. 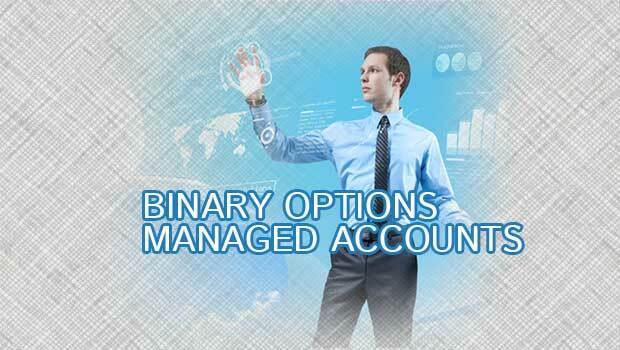 But the problem is, it is still very hard to find a reputable managed account for binary options nowadays. It is very hard to judge whether the account manager is a real professional trader or not. Furthermore, binary options is a high risk trading. With a wrong strategy, there is a bigger chance that you will lose money instead of earning profit. 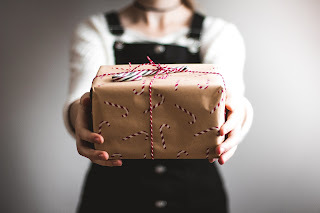 Furthermore, even though you are losing money, you still have to pay the account manager, which means there is a high chance that you are going to lose even more money compared to when you are managing your own trading activity. The benefits of managed accounts is obvious— It makes everything easier for you. You will have an expert trader managing your account and placing the trade on your behalf. It will take all the hassles and difficulties from trading and you can simply sit back, relax and enjoy your profit. Account manager has plenty of trading tools and software which can help them make the best decision, lower the trading risk and increase the chance of earning profit. Even though you are handing the control of your asset to a third party, you can still login to your account and monitor the progress of the trading. From the explanation above, we can conclude that using managed account has its own perks and drawbacks. Actually, if you are a beginner and you still don’t understand how to interpret chart and use trading tools, using managed account will be really helpful. However, be careful in choosing the account manager. Make sure the account manager is really an expert in trading and not just someone who is great at marketing. If you can choose the right managed account, you can minimize the trading risk and increase your chance of gaining profit. 0 Response to " managed binary options accounts"